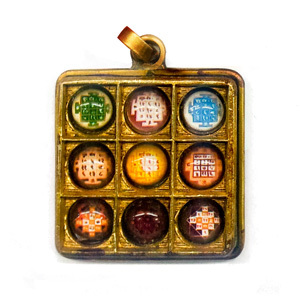 Transforms the negative energies emerging out of the malefic effects of all the nine planets into favourable positive energies and bestows upon the native all the desirable results .This Navgrah Shanti Pendant is so wonderfully manufactured that it contains the yantras of all the nine planets. 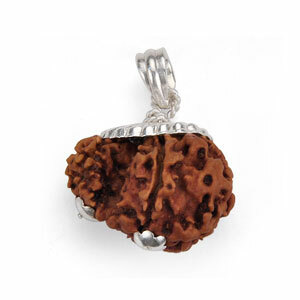 In our Dharmshashtras these yantras have been ranked very high by our seers and saints. It is said that by mere wearing these yantras, one can get rid of impending dangers and accidents,diseases,obstacles,problems arising out of the notoriety of tantra-mantra,black magic,ghosts and witch craft and be able to achieve unfathomable height in every sphere of life. . 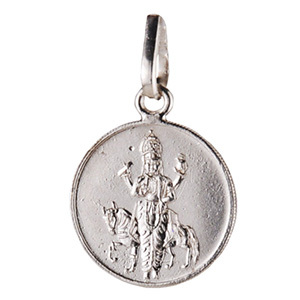 This Navgrah Shanti Pendant is the combination of the yantras associated with all the nine planets included in a single Pendant.Even from the point of view of Numerology,some numbers in the date of birth of an individual play highly negative role in his/her life and he/she is not able to get desirable result inspite of hard and continuous labour and he has to stuggle through out his life.Nav grah Shanti Pendant transforms the negativity of numbers into positivity and makes way for his alround development and success in all the spheres of life. . 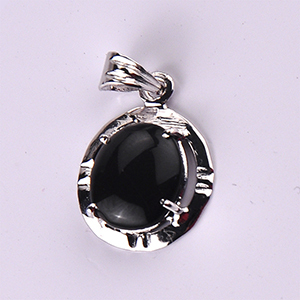 This Pendant is equally beneficial to everyone.This Pendant should be worn on Thursday after its Abhishek from Gangajal in the hora of Jupiter with full devotion.